In 2014, rather than trying to improve my health or personal relationships, I've decided to embark on a series of geek themed resolutions. 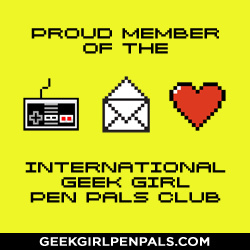 This past year, thanks to being involved in great communities like Paper Droids and the International Geek Girls Pen Pal Club, my roots in the nerd and geek community have become very important to me. I'd like to continue to nurture those connections and further embrace my geek lifestyle in the coming year. I will finish rewatching the entire Sailor Moon series by June and wait patiently (LULZ) for the release of the reboot in July. I'm half way through Sailor Moon S. I have Super S, and Stars to get through before July. I will watch Pushing Daisies. I have ALWAYS wanted to watch this series but haven't. Why? I will start and FINISH one of the many geeky TV shows I need to see. I'm debating between Dr. Who and Mystery Science Theater 3000. Both are looooong but I know I need to watch them. I will purchase four geek themed teas, one for each season. I love tea. I see fandom teas all over the place. I wrote an article about it. Why haven't I bought any yet? I will be a better pen pal. I have two GREAT pen pals thanks to IGGPPC. 2013 got a little hectic, what with having a baby and all, but I'm going to be a way dedicated pen pal this year. I will Disneybound every Friday in 2014. I love Leslie's Disneybound initiative. I want to be more creative in 2014 and will try to broaden and play with my wardrobe by drawing inspiration from Disney. I'll be blogging my 51 (because I missed the first week) Disneybounds here. This satisfies an unspoken resolution to blog more. 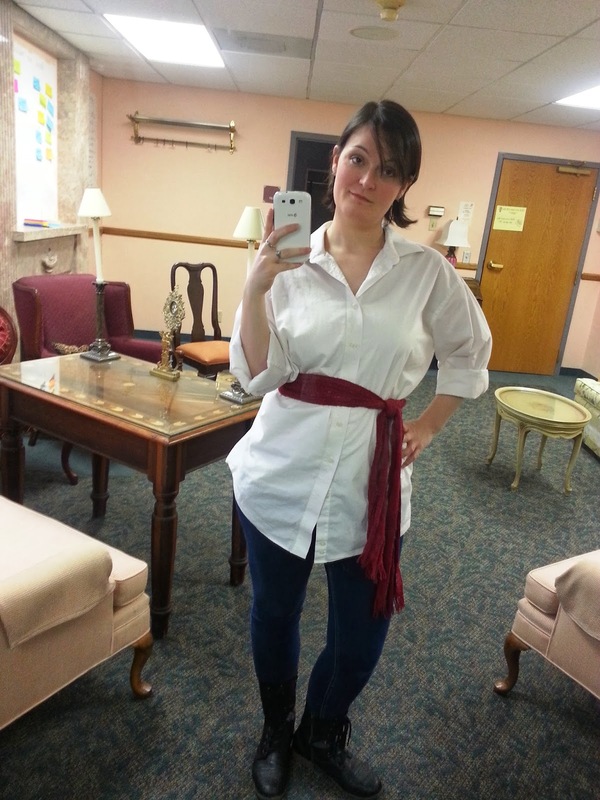 I missed January 5th for Disneybounding but here's my Prince Eric from the 10th. It was thrown together at the last moment and is, therefore, less than stellar but I'm looking forward to getting more elaborate.